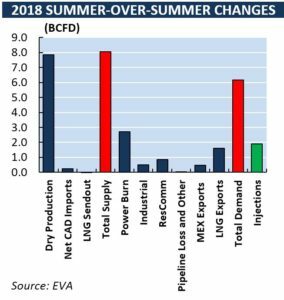 On May 31, 2018, Natural Gas Supply Association (NGSA) released a report on 2018’s Summer Outlook for Natural Gas. 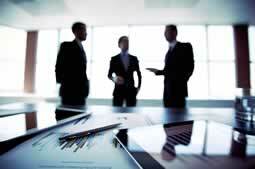 The report was prepared by Energy Ventures Analysis (EVA). 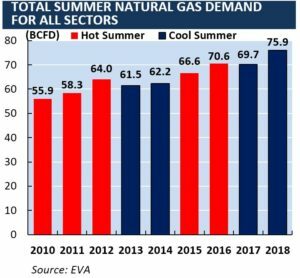 Record natural gas demand in the summer of 2018 is expected to be accompanied by a record summer-over-summer production growth, the highest production increase since 2005. Storage inventory is forecast to reach 3.5 TCF by October 2018 based on EVA’s forecast of natural gas supply and natural gas demand fundamentals. 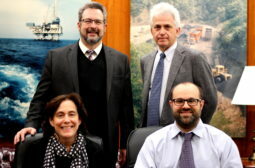 As this summer season began with an inventory level that is 339 BCF lower than the five-year average, injections will have to be almost 2 BCFD higher than last summer to get storage to this five-year minimum season-end level. If natural gas production fails to grow with increasing natural gas demand, this injection level could be at risk. Summer natural gas fundamentals are usually heavily influenced by hydro generation as well as hurricanes. 2018 summer is forecast to have below-normal hydro generation and a slightly lower chance for major hurricane landings, as presented in more detail in the report. 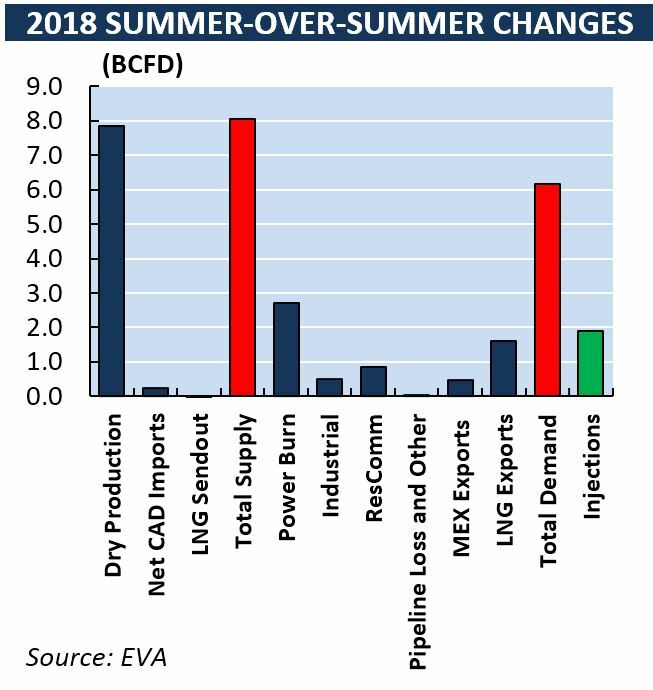 The low-hydro scenario boosted EVA’s power burn forecast by 0.3 BCFD on average for the summer from the base case scenario. The lower chance of hurricanes (updated on May 31, 2018) could mean less natural gas demand destruction compared to last summer as 2017 observed 6 major hurricanes versus only 2 that are projected for this summer in the Atlantic Basin. 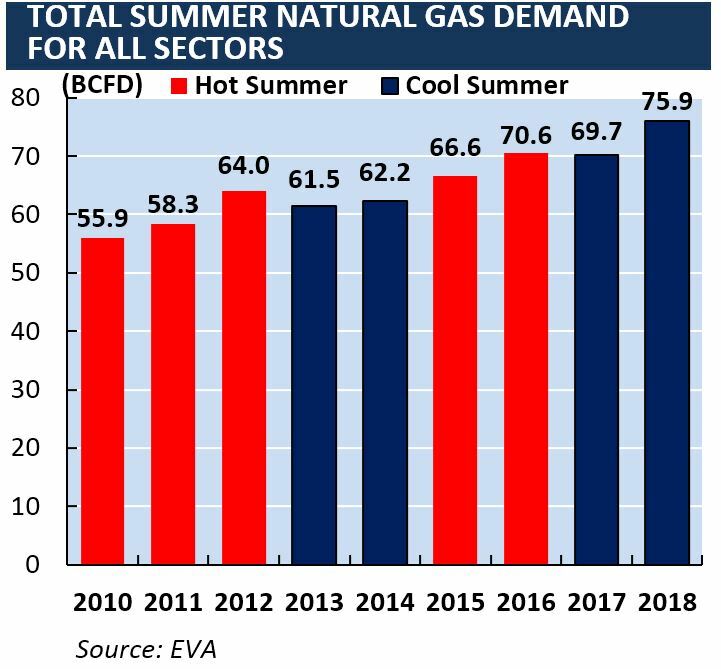 For more information on the U.S. natural gas industry, please refer to EVA’s Monthly Short-Term Natural Gas Outlook as well as EVA’s Energy Trader Dashboard – Natural Gas.